IIM Shortlist / Wait List 2019 – Indian Institute of Management (IIM) considers CAT 2018 exam scores for PGP admission 2019-21. CAT 2018 Results have been announced and now candidates can learn their Percentile. Candidates can now know their CAT Result 2018 by logging in on the official website. Different IIMs release the IIM PI-WAT status / Shortlist 2019- 21. Candidates make the IIM Shortlist 2019-2021 for different IIMs based upon a minimum percentile. Candidates who make the IIM Shortlist 2019-2021 are called for the Personal Interview and Written Ability Test by different IIMs. Candidates can also view their PI/WAT status through the login and check if they are in the IIM Shortlist 2019- 2021. More information regarding the IIM Shortlist/ Wait List 2019 is given here. Latest: Result 2019-2021 for IIM Calcutta has been released. Check from the link below. Now, that the CAT 2019 results are out, candidates are anticipating the release of IIMs Shortlist 2019-2021 by different IIMs. The Selection Procedure varies as per the evaluation type laid down by different IIMs. Candidates can use their log-in credentials to check the IIMs PI-WAT Status/ Shortlist 2019-2021. The IIMs Shortlist 2019-21 published by different IIMs along with the Evaluation type. You can check the Admission status for all the IIMs from the table given below. Click here for IIM Calcutta PGP 2019-21 shortlist for PI/WAT. Click here to check the final result of IIM Calcutta. IIM Amritsar Click here for IIM Amritsar PGP 2019-21 shortlist for PI/WAT. IIM Bodh Gaya Click here for IIM Bodh Gaya PGP 2019-21 shortlist for PI/WAT. IIM Jammu Click here for IIM Jammu PGP 2018-20 shortlist for PI/WAT. IIM Kashipur Click here for IIM Kashipur PGP 2019-21 shortlist for PI/WAT. IIM Raipur Click here for IIM Raipur PGP 2019-21 shortlist for PI/WAT. IIM Rohtak Click here for IIM Rohtak PGP 2019-21 shortlist for PI/WAT. IIM Sambalpur Click here for IIM Sambalpur PGP 2019-21 shortlist for PI/WAT. 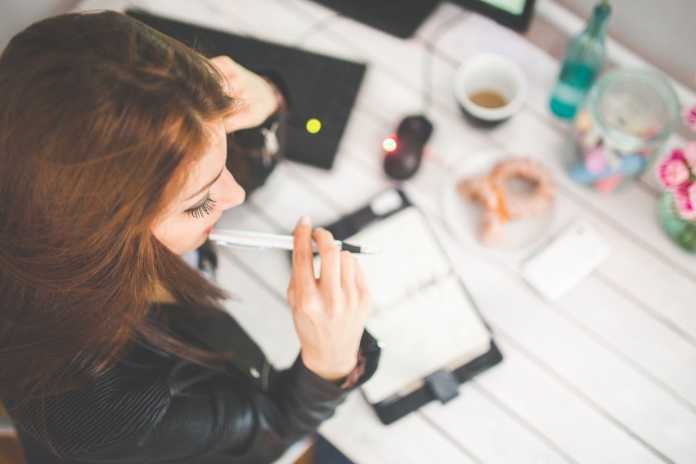 IIM Sirmaur Click here for IIM Sirmaur PGP 2019-21 shortlist for PI/WAT. Click here for IIM Tiruchirappalli (Trichy) PGP 2019-21 shortlist for PI/WAT. Click here for IIM Tiruchirappalli (Trichy) FPM 2019 shortlist for the selection procedure. IIM Udaipur Click here for IIM Udaipur PGP 2019-21 shortlist for PI/WAT. IIM Ranchi Click here for IIM Ranchi PGP 2019-21 shortlist for PI/WAT. Click Here to check shortlist for Stage II WAT, GD and PI with Venue Details. Click here for IIM Kozhikode PGP 2019-21 shortlist for PI/WAT. Click here for IIM Lucknow PGP 2019-21 shortlist for PI/WAT. Click here to check the information related to the admission process. Click here for IIM Ahmedabad PGP 2019-21 shortlist for PI/WAT. Click here to check the final results of IIM Ahmedabad. IIM Bangalore Click here for IIM Bangalore PGP 2019-21 shortlist for PI/WAT. 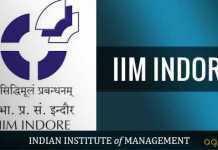 IIM Indore Click here for IIM Indore PGP 2019-21 shortlist for PI/WAT. IIM Shillong Click here for IIM Shillong PGP 2019-21 shortlist for PI/WAT. IIM Mumbai Click here for IIM Mumbai PGP 2019-21 shortlist for PI/WAT. IIM Nagpur Click here for IIM Nagpur PGP 2019-21 shortlist for PI/WAT. IIM Visakhapatnam Click here for IIM Visakhapatnam PGP 2019-21 shortlist for PI/WAT. How is IIM CAP Procedure conducted? IIM Ranchi is handling the CAP procedure this year. Following are the steps in which the IIM CAP procedure takes place. Shortlisting – CAP members release a shortlist based upon the percentile of a candidate in the CAT. Candidates receive the intimation via an e-mail for a single WAT/PI. CAP Form – The candidates also receive a CAP form, which they have to fill to further the procedure. WAT /PI – Then the candidates face the CAP procedure, which consists of a single WAT/PI. Final Merit List – The scores of the candidates in the WAT/PI are then sent to all the IIMs under CAP. Taking the score into the account, all the CAP IIMs prepare a final shortlist. The Second stage of the Admission criteria involves Past Academic Performace(PAP), Work Experience, Reference Letter, etc. as per the procedure in different IIMs. The Final stage involves the Composite Score(CS), where the CAT scores and the score generated in different sections of the second stage are calculated. The weightage given to the sections in each stage is dependent upon the IIM. CAT Score- In the first stage of Admission procedure, the CAT score is considered. A certain amount of points or a rating system is attached to the CAT score. And in many cases, the marks are normalized into a scale of 0-1, 1 being the Composite Score. Past Academic Performance(PAP)- Percentages/CGPA of 10th Board, 12th Board and Graduation are considered in here. A rating or point system is attached and the score is awarded on the basis of the Percentage in all these courses and the difficultly level of degree. Work Experience(WE)- The Quality of Work Experience is considered in many IIMs and a rating/points system is attached to it. Reference Letter(RL)- Some Institutes ask a candidate to bring two Reference Letters from the teachers, where the performance of the candidate is evaluated. This section also carries a certain amount of weightage. Diversity(DI)- The Diversity section is based upon the allocation of marks according to the Gender. In certain Institutes, an extra score is credited to female and transgender candidates. IIM websites also host call for interviews. The Interview is an integral part of the IIM Admission Procedure. These are a few things that you should keep in mind for interviews. Have a good SOP (statement of purpose). Candidates who attended interviews at IIM Bangalore said last year that there were 3 professors who interviewed them. They were very interested in looking at the SOP. Be honest and respect the panel. The ones sitting on the other side of the table are experienced people who have the ability to sense when the interviewee is making things up. It is a good idea to stick to strengths and steer the ongoing interview in a direction that will add to the candidate’s abilities. Keep all documents in place. It would be indeed beneficial to have all required documents together so that you can present as and when needed. This refers to the number of seats that move up from waitlist to offer. In other words, if the candidate is Waitlist 10, will he/she finally get an offer? It is interesting to note the waitlist of the past few years in all IIMs. However, most candidates are interested in waitlist movement of IIM Ahmedabad (IIMA), IIM Bangalore (IIMB), and IIM Calcutta (IIMC). Though there is a dearth of official data on this, we came across some discussions and blogs on this topic. From those, here is an insight into the waitlist movement. As mentioned above, above is unofficial data from third-party sources. If you have better information, please let us know in the comments below. well it will be released soon. Can you actually specify the dates of the interview results from the earlier data?